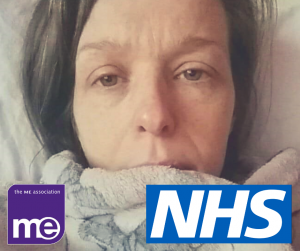 ME Association Website Survey: Why are we asking about the NHS and ME/CFS? In this month’s website survey, we want to talk about the NHS and the extent to which people with ME/CFS use the services that are currently available to them. It seems likely that the number of times you have used the NHS (GP, specialist clinics, hospital, consultant etc.) in the last 12 months will depend on many different factors and we’d like you to share them with us. These factors might include where you are in terms of diagnosis and management, the length of time you have had the illness, and whether you feel the NHS is able to offer any practical help or support. Some people may find they draw most heavily on the NHS during the acute (perhaps early) stage of illness onset, when there is little or no explanation for symptoms and debility; and when things are of most concern. Or it could be when they are being tested for exclusion/inclusion of possible causes for their symptoms, or perhaps when relapses occurred necessitating further investigations. Or they have most used the NHS when they were referred to ME/CFS specialist services (clinics) and embarked on management courses over a number of weeks and/or months. It may be the case that the longer people have a diagnosis of ME/CFS, the less they draw on NHS services – even to the extent that they no longer see a GP on a regular basis. Perhaps because they are managing as best they can, have learned the most appropriate form of management, made the necessary adjustments to their lives and have prescriptions in place. For others, it could that there is a genuine fear of approaching the NHS in case they are not believed, or because of previous bad experiences. Or it could be that you or the person you care for is severely or very severely affected, and your dependence on NHS services is greater than for those who are more able. Conversely, you might find that it is at this stage, when the NHS should be providing most care and support, you are unable to access it – because it doesn’t exist. Whatever your reasons for using (or not using) the NHS, we’d really like to hear from you. The NICE clinical guideline for ME/CFS (see extracts below) recommend regular NHS patient reviews and management plans. It is not clear if reviews and management plans are happening in primary care or the extent to which people with the disease are meeting with their GP/specialist on a regular basis. We are aware of the lack of specialist provision in certain areas, and of the less than satisfactory reviews from users of some specialist services. Also, of the general lack of support for those severely affected. But where provision is lacking or seen as detrimental, are people with ME/CFS still seeing their GPs regularly, and if not, then how are they coping without NHS input? 1.1.3.1 Healthcare professionals responsible for caring for people with CFS/ME should have appropriate skills and expertise in the condition. benefits and social care systems assistance with occupational activities including work and education if appropriate (see section 1.4.5). 1.1.3.3 An individualised management plan should be developed with the person with CFS/ME, and their carers if appropriate. The plan should be reviewed, and changes documented at each contact. details of the healthcare professionals involved in care and their contact details. 1.4.4.1 For people with moderate or severe CFS/ME, providing or recommending equipment and adaptations (such as a wheelchair, blue badge or stairlift) should be considered as part of an overall management plan, taking into account the risks and benefits for the individual patient. This may help them to maintain their independence and improve their quality of life. 1.7.2.2 When managing a setback/relapse, the management plan should be reviewed. Healthcare professionals should discuss and agree an appropriate course of action with the person with CFS/ME, taking into account: the person’s experience possible causes of the setback/relapse, if known the nature of the symptoms the severity and duration of the setback/relapse the current management plan. 1.8.1.1 Regular, structured reviews should be undertaken for all people with CFS/ME. Assessing improvement or deterioration in symptoms. Assessing any adverse or unwanted effects of therapy. Considering the need to repeat investigations (for children and young people, repeating investigations should be considered if there is no improvement after 1 year). Reviewing the diagnosis, especially if signs and symptoms change (see recommendation 1.2.1.4). Considering referral to specialist CFS/ME care. Assessing any additional support needs (see sections 1.1 and 1.4). 1.8.1.2 The timing of the reviews should depend on the severity and complexity of symptoms, the effectiveness of any interventions, and the needs of the person with CFS/ME. 1.9.1.1 Management of severe CFS/ME is difficult and complex and healthcare professionals should recognise that specialist expertise is needed when planning and providing care for people with severe CFS/ME. 1.9.1.2 Diagnosis, investigations, management and follow-up care for people with severe CFS/ME should be supervised or supported by a specialist in CFS/ME. 1.9.1.3 People with severe CFS/ME may need to use community services at times. These services may include nursing, occupational therapy, dietetics, respite care, psychology and physiotherapy (see the ‘National service framework for long-term conditions'). The input of different professionals should be coordinated by a named professional. 1.9.1.4 People with severe CFS/ME should be offered a summary record of every consultation because of their cognitive difficulties. 1.9.1.5 Most people with CFS/ME will not need hospital admission. However, there may be circumstances when a planned admission should be considered. The decision to admit should be made with the person with CFS/ME and their family and be based on an informed consideration of the benefits and disadvantages. For example, a planned admission may be useful if assessment of a management plan and investigations would require frequent visits to the hospital. The purpose of this simple website survey is to begin a debate about the extent to which people with ME/CFS use the NHS and how the NHS supports them. Let us know how many times you have visited the NHS in the last 12 months because of ME/CFS and then share your reasons in the resulting discussion. Your participation will help inform our ongoing contributions to the review of the NICE guideline and future discussions we may have with, for example, the Royal College of GPs at their conference in October. Please join what we hope will be a productive discussion on Facebook, and share your own experiences. You can also leave them on the website below, or send them to us in an email (Title ‘The NHS and M.E.’).